Earn Donations for Holly’s Place While Walking Your Dog! Now you can earn donations for Holly’s Place when you walk your dog! Just go to this website and download the Walk for a Dog app and choose Holly’s Place. Holly’s Place Animal Rescue is dedicated to helping solve the problem of homeless dogs and cats and improving the quality of life for all companion animals. Holly’s Place works with humane societies, animal shelters, and rescue groups to help ensure a brighter future for our animal friends. We rescue, foster, and re-home when possible. But when it’s not possible to re-home, we provide lifetime sanctuary for the special needs animals, the aged, and hard to adopt. We tackle the overpopulation problem with a Spay/Neuter Assistance Program. With millions of animals being euthanized in shelters every year, spay/neuter is the single most important aspect to animal welfare. If rescue & adoption is a band-aid, then spay/neuter is the surgery. Both are needed in our opinion. Holly’s Place incorporated in and became a 501(c)3 nonprofit organization in 2002. 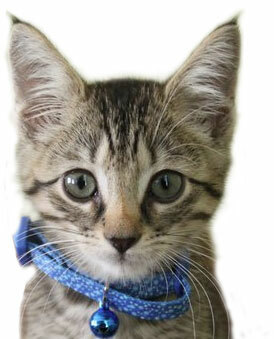 Download our Spay/Neuter Assistance Application here. Shop Amazon Smile & Earn Money for Holly’s Place!